Before venturing off abroad, particularly if it is your first overseas trip, it is vital to partake in thorough research into the essentials you must bring along. Similarly to when visiting any country, there are several essential pieces of documentation you must remember, even more so if you wish to travel with your caravan or motorhome. Taking your caravan abroad involves considerably more preparation and organisation. With the idea of opting for taking your caravan or motorhome abroad rather than booking into a hotel increasing in popularity, it is now easier than ever to turn this plan into a reality. Almost every country accommodates and welcomes campers, however, have different rules and regulations you must follow to stay within the law. If you are in the process of planning your first caravan trip abroad or would just like to refresh your memory, we have devised a list of the main factors to remember before setting off. As the driver, both your passport and driving licence are compulsory when travelling in your vehicle abroad; all other passengers will only require their passport. If you travel outside of the European Union, you must also apply for an International Driving Permit. An International Driving Permit costs just £5.50 and can be purchased from your local Post Office, the AA or RAC. 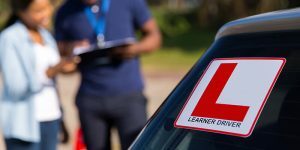 As long as you have a full UK driving licence, are over the age of 18 and live in the United Kingdom, you will have no problem getting yourself a permit to drive abroad. Not only do you need to be covered while travelling abroad, but also your vehicle. It is always recommended to bring along as many documentations you have that prove your ownership over the vehicle, so you are fully covered in the event of an incident. Bring along a copy of your insurance, MOT and V5C; this shows that you are the registered keeper of the vehicle. Try to refrain from bringing along the original documents in case they are lost during your holiday; a photocopy will be ideal. Travel Insurance is highly recommended no matter the type of holiday or trip you embark in, and this also applies to when travelling in your caravan or motorhome. Just because you eliminate the risk of hotel issues, flight cancellations and delays, it does not mean that insurance is no longer required. It is your choice the type of cover you opt for and ultimately depends on how often you think you’ll go away in one year and how many days each holiday will consist of. There are three type of travel insurance for a caravan holiday: single trip, multi-trip or a long-stay policy. A single trip policy would be ideal if you only wish to take one or two short trips a year, whereas multi-trip will be better value for money if you plan to travel regularly in your vehicle. Lastly, long-stay policies relate to those who intend to take frequent trips that will each last longer than 30 days. Although it may cost a little more cash, it is strongly advised to consider a travel insurance policy that covers more than just your vehicle. Insurance companies such as The Caravan Club include breakdown cover, medical assistance and device protection in all policies, which will guarantee your safety no matter what happens. The Caravan Club also covers passenger and vehicle repatriation, which means you will always be able to return to your residential country. Each country has specific driving regulations you must comply with to stay within the law, luckily many are very similar to those of the UK. Some countries are considerably stricter when it comes to driving regulations than others, so it’s important to always look into these to ensure you do not find yourself with a hefty fine or worst case scenario, being arrested. One particular overseas driving regulation that isn’t in effect in the UK is low emission zones. Popular holiday destinations such as Portugal, France and Italy all have areas which restrict from driving through the city centre if your vehicle emits over the maximum amount of emission. 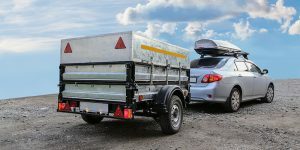 For more information on overseas driving regulations, head over to The Caravan Club website. Similarly to when going on holiday to a hotel abroad, always remember to bring along a two-pin continental adaptor which can be connected up to any electrical appliance you wish to use. If you are staying within the EU, it is unlikely that you will need to use a two-pin adaptor, however, bring it along just in case. Ensure that you bring along gas to last throughout your trip because you will not be able to refill your gas bottles abroad. In the worst case scenario, if you do run low, you’ll need to purchase a new gas bottle to use while you are away and this will not be exchangeable when you get back to the UK. It is always better to exchange your money, if you can, into the local currency before you venture off abroad, but even more so if you are taking your caravan or motorhome. There is likely to be several toll bridge or road at some point during your journey, so the correct currency to continue your trip will be required. If you did not want to exchange a large lump of cash before going abroad, alternatively, you could exchange around £100 before setting off and withdraw money while away. Many holidaymakers opt for travelling with their motorhome or caravan so they can bring their pet along, which will require additional preparation. Your pet must be adequately vaccinated against diseases, microchipped and have their own passport or travel certificate awarded by their vet. Build yourself an ‘essentials kit’ that you will keep in your vehicle for all trips including a first aid kit, warning triangle, fire extinguisher and reflective clothing. The majority of equipment required would be relatively the same as you would pack for your day-to-day vehicle at home, however on a larger scale. If you are travelling with a number of passengers, remember that particular equipment, such as reflective clothing, must be multiplied. Taking a trip overseas with your family is a fantastic way of celebrating passing your caravan towing training course, and a relatively cheaper form of travelling abroad. With advanced preparation and our full guide, we can guarantee that you will have a stress-free, enjoyable holiday!